Gathering experts from around the world, the panels explored issues in the anti-doping movement. 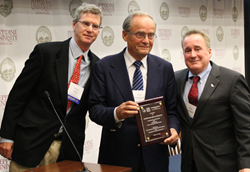 Professor Arne Ljungqvist receiving a plaque from Dr. Steven Ungerleider and David Ulich. On October 22, 2013, The Foundation for Global Sports Development partnered with the Professor Arne Ljungqvist Anti-Doping Foundation, the Straus Institute for Dispute Resolution at Pepperdine University School of Law, and Sheppard, Mullin, Richter and Hampton, LLP to present "Doping and the Culture of Sport", a symposium held at Pepperdine University in Malibu, California. Geared towards those who are interested in both the historical efforts of the anti-doping movement and the future of doping in sport, this symposium convened experts from a variety of fields, such as law, sport, science, and medicine. After a keynote speech from Professor Arne Ljungqvist, the day began with a screening of the independent documentary, “The War on Doping,” followed by Q&A with Bjorn Bertoft, the film’s producer. The first panel, titled “Doping in Sport: History, Impact, and Doping Control” was moderated by T.J. Quinn of ESPN. Quinn was joined by Professor Arne Ljungqvist, Dr. Don Catlin, Carie Graves, Dr. Tom Murray, and Dr. Steven Ungerleider. This group discussed important points, such as – is testing athletes a viable way to end doping in sport, despite its financial and scientific limitations, and what needs to be done to “win the battle” against doping. The second panel was moderated by Mark Fainaru-Wada of ESPN and was titled, “New Trends and Strategies in Doping Controls: Tackling Cheating in Sport.” The panelists included Dr. Ted Friedmann, Mathieu Holz, Crissy Perham, Dr. Martial Saugy, and Richard McLaren. This group was able to examine the legal ramifications of doping in sport, as well as current and future performance-enhancing doping methodologies. The Foundation for Global Sports Development also honored Professor Arne Ljungqvist’s work in the anti-doping movement. The foundation took this opportunity to officially announce that Professor Ljungqvist will be the recipient of their prestigious 2014 Humanitarian Award. The announcement was marked by plaque presentation to Professor Ljunqgvist, by Steven Ungerleider and David Ulich, executive board members of the foundation. The Foundation for Global Sports Development Humanitarian Award is presented to individuals and organizations who have stepped up as leaders to champion for equality and integrity in sport. The official award ceremony will take place during the 2014 Sochi Winter Olympics. The Humanitarian Award Ceremony will be held on Saturday, February 8th. 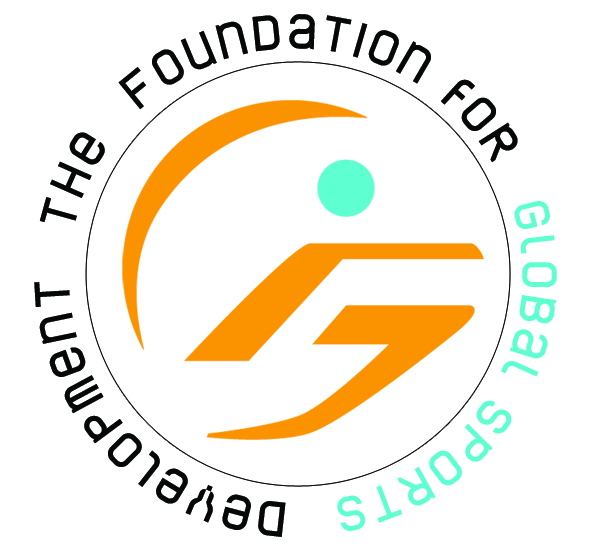 The Foundation for Global Sports Development is a non-profit organization which strives to be a leader in the sports community by delivering and supporting initiatives that promote fair play, education, and the physical and developmental benefits of sports for youth around the world.